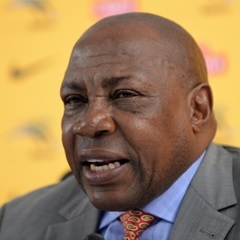 Cape Town - It has been reported that Bafana Bafana coach Shakes Mashaba was robbed of valuable items while he was at a fast food outlet. According to KickOff, a laptop and two cellphones were stolen from Mashaba’s car on Thursday evening. “A number of personal items were stolen, among them my two cellphones and a laptop,” the Bafana coach is quoted telling Robert Marawa on Metro FM. Mashaba has been a busy 64-year-old this week as he announced a 30-man squad to play two international friendlies. On March 25 South Africa will play Swaziland (19:00 kick-off) before hosting Nigeria at the Mbombela Stadium on Sunday, March 29 (15:00 kick-off).